Michy Batshuayi has admitted to breaking a club rule after he was frozen out at Chelsea by manager Antonio Conte. Borussia Dortmund‘s on-loan striker revealed that he used to play futsal to make himself ‘feel better’ and ‘free himself’ during his frustrating time at Stamford Bridge. The 24-year-old even claimed he ‘would have been dead’ if he didn’t play the indoor sport to regain his competitive edge while in west London. 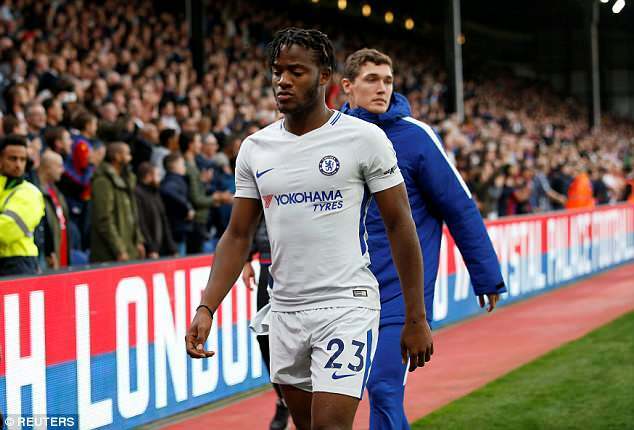 When asked what he did to keep his focus when he wasn’t playing at Chelsea, Batshuayi told Onze Magazine: ‘At the club you’re not allowed to do it, but I played futsal. If I didn’t play futsal, I would have been dead. ‘I kill myself at futsal for 1 hour or 2 hours. It’s mandatory for me. 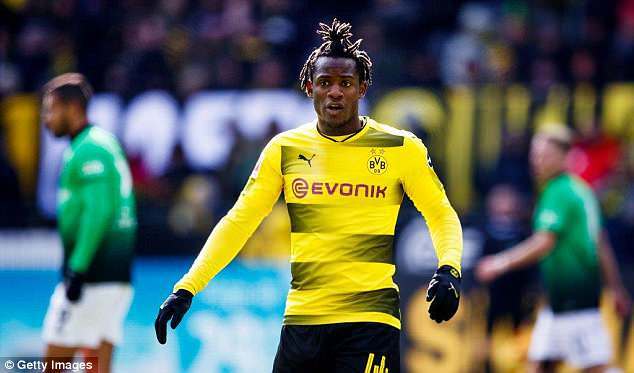 Batshuayi has hit the ground running in Germany since completing a six-month loan move in January, after scoring eight goals in 12 games for Peter Stoger’s side. 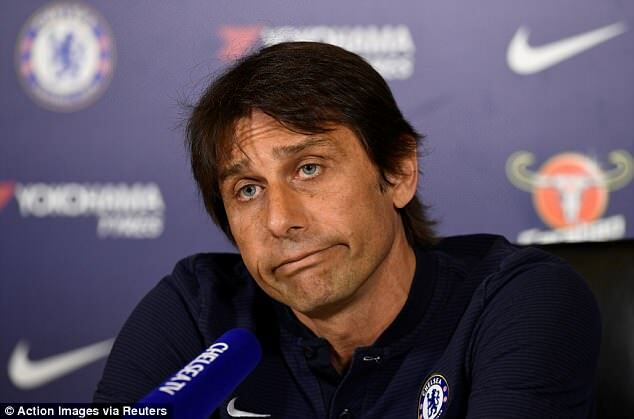 The move appears to have backfired on Conte who has seen Alvaro Morata and Olivier Giroud fail to find any decent form in front of goal, with the pair scoring just one goal between them since Batshuayi went out on loan.